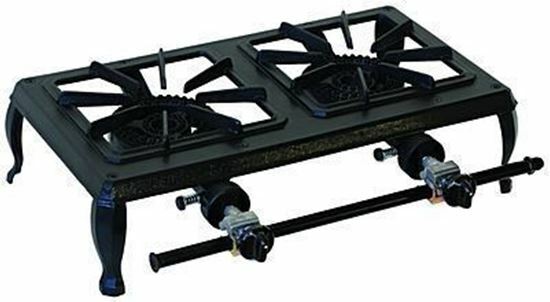 Double burner portable cast iron stove 63-5112. The Hurricane 63-5112 is a portable and economical means of cooking virtually any food dish that comes to mind. This unit is manufactured from durable cast iron. They are lightweight and totally portable. Each burner produces 15,000 BTU of heat. This unit is recommended for light restaurant and catering applications.